New and improved steemstem.io, reaching out for Public Domain Images, a case to vote for @stem.witness, the Witness of Knowledge and More Interviews with the Curators! It's been a jam-packed few weeks! The development team has been working hard to release the new SteemSTEM app version, the curators have been tirelessly reviewing new posts by prominent STEM authors, our new @stem.witness is already included in the top 100 witnesses and interviews with our curators are continuing, receiving great interest by all of you! This bi-weekly blog is shared with you in our efforts to bring the community closer together with the goal of keeping you updated about what is going on behind and in front of the scenes! Updated Version of Steemstem.io app! Our new open source app, steemstem.io was released one month ago and we have received great support and feedback from everyone who tried it out! 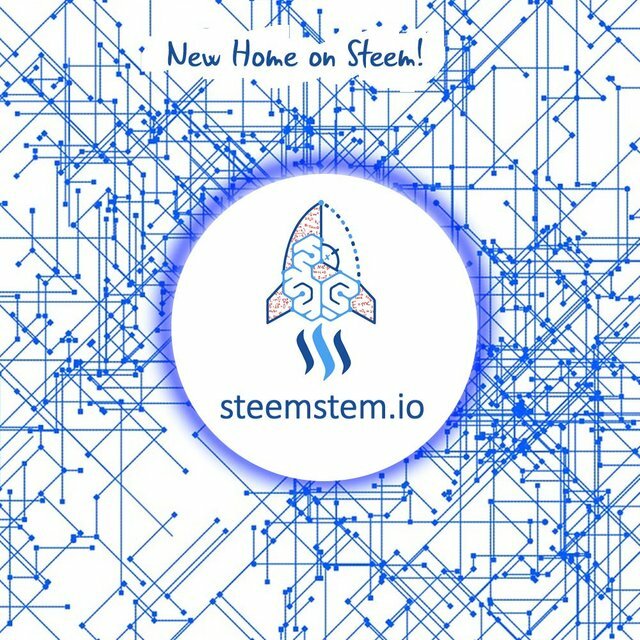 SteemSTEM new app aims to become a valuable tool with which STEM lovers and researchers will be able to communicate and share information all around the globe. On steemstem.io, visitors will be able to see only posts that will be approved by our dedicated curators. Quality filters are applied that users can of course remove with a click. In the most recent update, the users can now create posts directly by logging in (via steemconnect) to steemstem.io ! You can also create more than one draft and publish them at will. A few display bugs have been fixed and we are already working on new features such as post editing, adding draft preview and adding the possibility of including beneficiaries. More information about the v0.2 of the app can be found here and there (for the technical changes). Moreover, v0.2.2 has been deployed this morning, and it includes in particular post edition! Some of the difficulties encountered by many STEM authors was finding specific scientific images released to the public domain. Images are very important for constructing a more pleasantly readable post and conveying a message in an easier way. For those who may not understand what the issue is all about, please take a few moments to read the guidelines on copyright standards about images. So if you wish, take some time to visit SteemSTEM's Repository of Public Domain Images here and feel free to reach to us on discord if you wish to contribute or for any queries. Many Steem users have little knowledge of what a witness is, what they do, and why it is important to vote for them. @mobbs has crafted an informational post regarding what people may want from their witnesses. All the above and much more to be announced soon are what makes @stem.witness one of the most promising witnesses deserving of our support. Take some time and visit the latest post by @mobbs, in order to understand more about why @stem.witness is making a difference. Our Interviews with the Curators have brought those all-mighty Steem users before you. They have revealed their curation secrets and have provided useful advice about what to do and what to avoid in order to become a successful STEM author! Our latest interview provided insight and a few different approaches about what plagiarism is. Feel free to visit the link and learn more about our curator @alexs1320 here and what he had to say to us! You can also check out the interview of @ruth-girl here and click here where you will find the interview of @aboutcoolscience! More updates, upcoming feature at steemstem io v0.3 to be deployed in a few days (with post editing as a kwey novel feature) and a new interview is in the making! Bonus News - For more Technical Information ...! If you are interested in the more technical aspect of the steemstem.io development, you can follow the alt-account of @lemouth, @lemouth-dev. The first update can be found here for more technical details about the app's features. This concludes our weekly news update, we hope you enjoyed it and learnt something new! 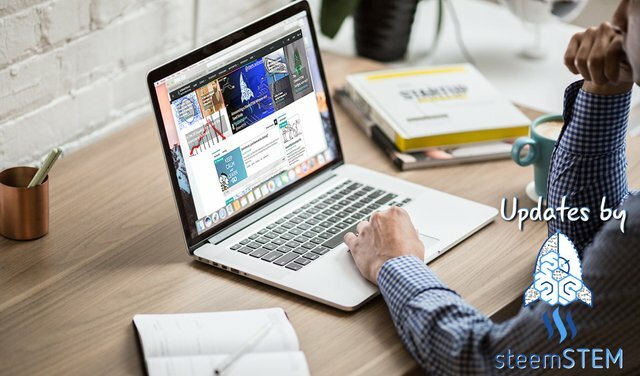 Make sure to follow steemstem on steemstem.io, steemit, facebook, twitter, and instagram to always be up-to-date on our latest news and ideas. 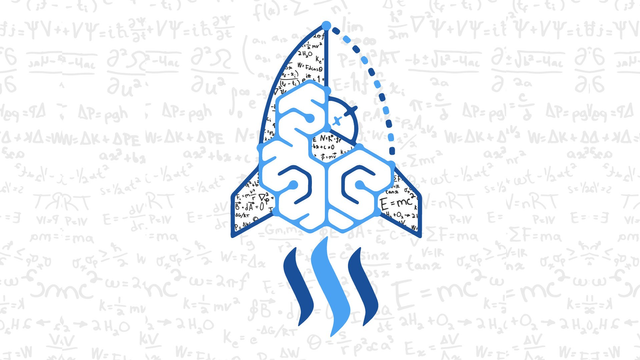 Please also consider to support the project by delegating to @steemstem for a ROI of 65% of our curation rewards (quick delegation links: 50SP | 100SP | 500SP | 1000SP | 5000SP | 10000SP). We are always on the lookout for new scientific articles from all types of authors, so even if you are not a proven researcher, but you like engaging in science yourself, be sure to reach out to us! It's incredible that people don't want to spend 2 minutes for their own community. The community that is supporting them for months. Today is my Steemit birthday. It's incredible how much I learned about people, things that can't be found in books and papers. I think a lot of people are just not here. Well I know they aren't infact. We likely have a ton of witness support that is just sitting idle from people who were formerly active. Kudos to every member of the team that puts in work to make everything turn out awesome. Thank you, guys. And thanks to you as well. Where will we (and stemng) be without you? Thanks for the tip on the image repository. I’ll check it out! It's small now, but we will be starting a way for people to commission image creation for publications from artists, supported by steemstem. The images can then be private or publically available and included in the database (which is just a post for now). I have not been working for some time now due to circumstances beyond my control but I will take out time to vote for this great community as steem witness. More grease to your elbows over your persevering effort to make stem app the best it can be. Big ups to everyone working behind the scene to make SteemSTEM better. My heart goes out to y'all.